President Barack Obama has arrived in Senegal on the first leg of a three-nation tour of Africa. This is Barack Obama’s second visit to the African continent since he became president. Barack Obama is hoping to boost economic ties with the African countries and promote good governance – all the countries he is visiting have stable democracies. The South African leg of his trip is expected to be overshadowed by the continuing critical condition of former President Nelson Mandela. The White House has said it will defer to the wishes of Nelson Mandela’s family over whether the former South African president is well enough to receive a visit from him in hospital. 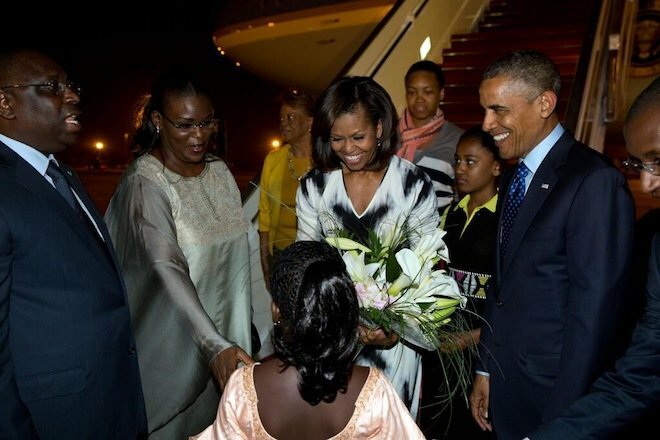 Barack Obama, who arrived in the Senegalese capital, Dakar, on Wednesday night with his family, is due to meet the country’s President Macky Sall later on Thursday.